I’m feeling so cold. I want to be wrapped from head to toe in a soft, cashmere scarf that smells faintly of lavender. 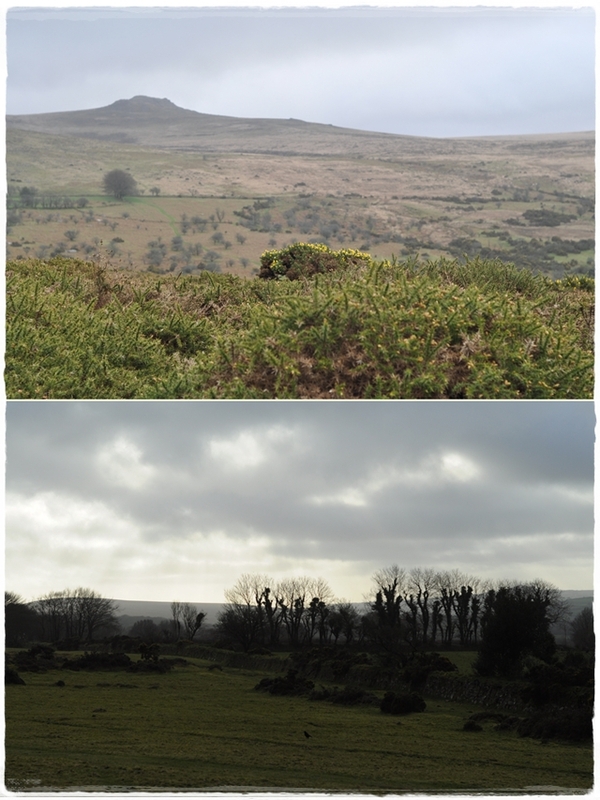 This weekend I walked on Dartmoor with the cold wind in my face, the bracken rusty and broken, tree branches exposed. My return to Dubai was greeted by exceptionally cold weather that seems to chill you to the bone as there is nowhere to go to get warm. And I need warmth. A close member of the family shuffled off this mortal coil. He achieved a lot in his life and I hope he’s now in peace. My sadness is made deeper by witnessing the intense grief of people around me. It’s a time to look back on golden memories and feel the glow from the closeness of family and friends. If you were in a hurry you could pulse all the vegetables in a food processor but chopping by hand gives a more uniform texture (and I find repetitive tasks in the kitchen very soothing) especially using this method to chop the peppers. In a large saucepan, soften the onion, celery, red and green peppers and garlic in the oil over a medium heat for about 15 minutes (do not brown). Add the beef, paprika and caraway seeds (if using) and stir for about 2 minutes to warm the spices. Next, add the tomatoes puree and cook for a further 2 minutes (just to cook away the slightly tinny taste it can give). Add the tomatoes, stock, salt and pepper and bring to the boil. Once bubbling, lower the heat, cover the pan and simmer very gently for 1 1/2 hours (until the beef is tender). Use a stick blender to puree the soup, but don’t make it too smooth as you want to retain some texture. Alternatively, leave to cool a little and pulse in a liquidiser. Warm gently if required to heat through. Serve garnished with sour cream, parsley and accompanied with lots of crusty bread. What a wonderful soup! So comforting and warming. Great clicks of England. Fantastic pictures Sally! I really want to go on a walk in Dartmoor right now, England is so beautiful! Goulash is very good to warm you inside, I like it too. 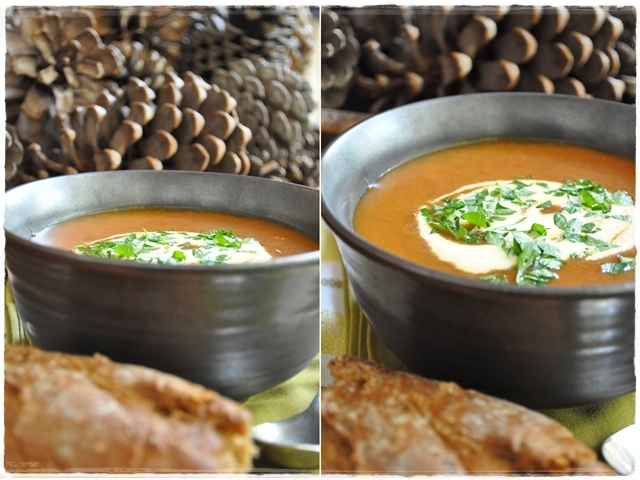 I love the flavors of goulash and this soup looks wonderful! And comforting as well. 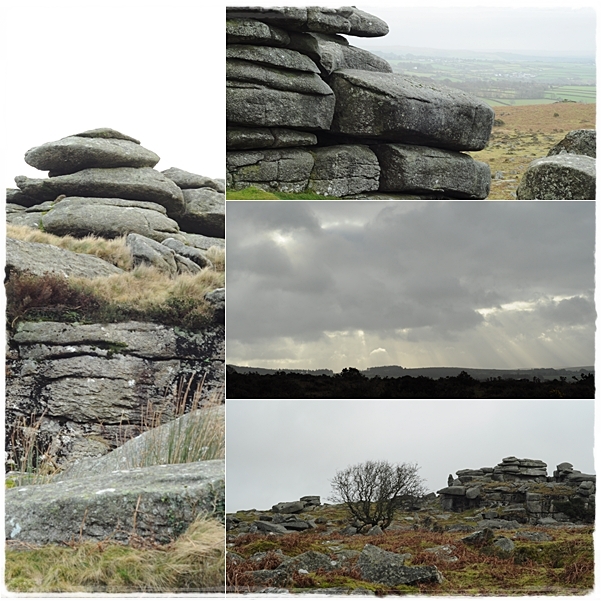 Beautiful photos of Dartmoor as well, photos that seem to fit your feelings. I am sorry for your loss, Sally. What a wonderful, comforting post Sally – beautiful photography, heart warming fare and a gentle reminder that our time on this earth is to be relished. 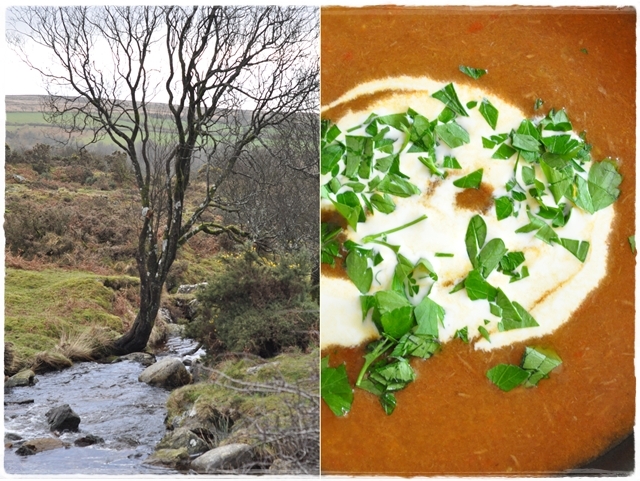 The soup looks amazing, warm and comforting indeed. Lovely. Terribly sorry for your loss, Sally. Sally, I’m sure this post was not an easy one to write. I hope that the kitchen, with all its repetitive tasks and comforting aromas, continues to serve as a happy, constructive distraction that keeps you and family close together. My prayers and wishes to you all. I am so sorry for your loss. A nice, quiet activity like making soup, and the meditative tasks of chopping and stirring are good for reflection. I make a very similar soup with the caraway and paprika but I often just use ‘meaty’ mushrooms like shiitake and portabella. But a bit of gorgeous,, grass-fed meat is always welcome. PS I have recently put on a blogroll and you are in amongst my favourites. Here’s to staying warm and a better New Year. I feel the sorrow in your words. May you find comfort in whatever you do in this time of hardship. Time heals many wounds. My prayers are with you. I am loving the weather. 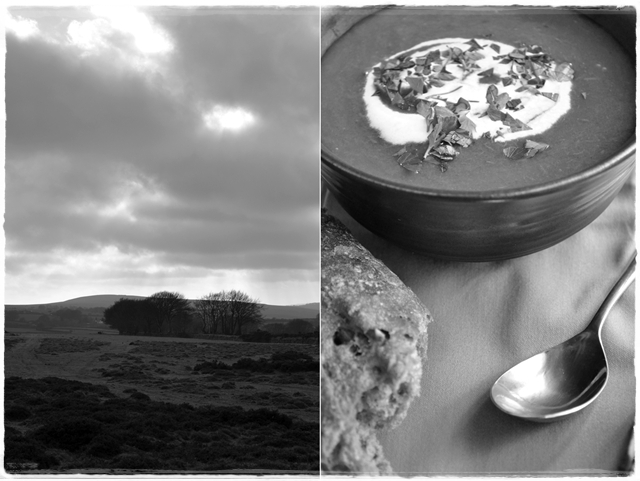 It’s all reminding me of my time in england…there’s something about a cold evening, a warm living room and a deep sofa…and of course a bowl of soup..really lovely photos.. I was sorry to hear of your loss, I can understand the need for comforting food in such circumstances. I’ve never made ghoulash. 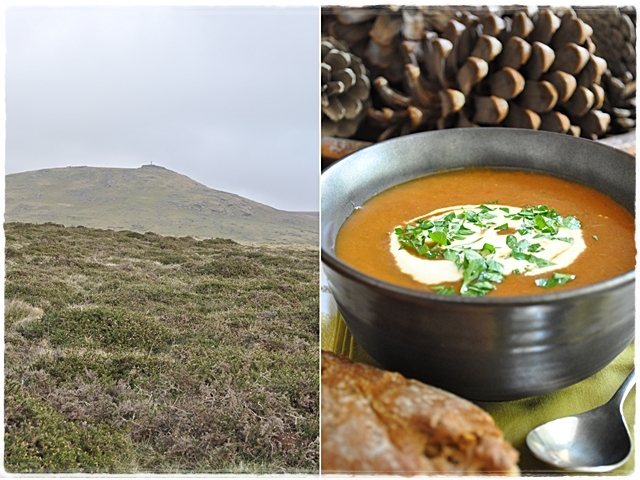 This looks perfectly warming and nourishing…and I’m sure I have some stewing steak in the freezer. Sorry to hear about your loss Sally! Sadly I, too, had lost my grandfather a few weeks ago. Loss is never easy, but as you said, we find comfort in the good memories and hope that the ones we lost rest in peace. I too find the kitchen is one place to dish out all the emotions, the mechanical aspect of food making is therapeutic. Hope you are comforted at this hard time. Sally, what a beautiful post. 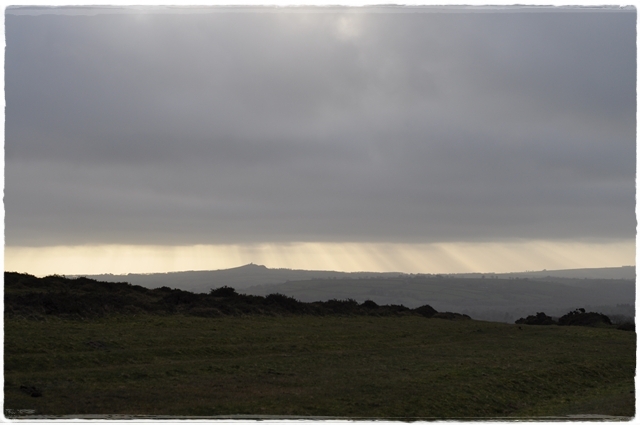 You told your story of grief through the photos of your walk on Dartmoor in such a poetic way. Thanks for sharing that with us. May God bless and comfort your family during this time of loss.